Eddy Muers, Belgium, writes “Where can we place this phenomenon” ?? Thanks Claudia, Melanie and Eddy! 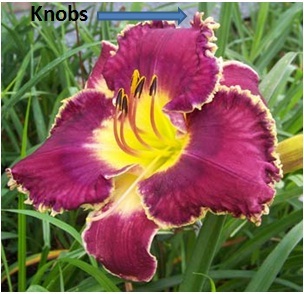 This entry was posted in Daylily Hybridizing, Introductions, People Pictures. Bookmark the permalink. 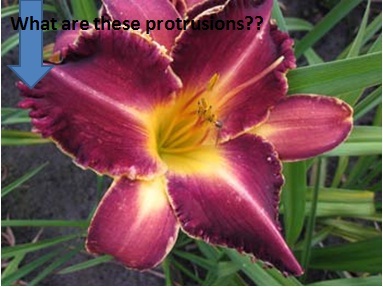 All ruffles and gold edges are from faster cellular growth causing ripples and ruffles around the petal edges….same thing with crested midribs.